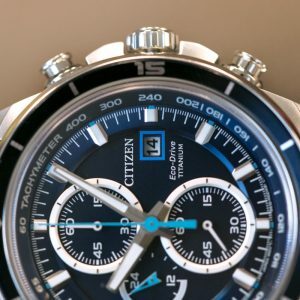 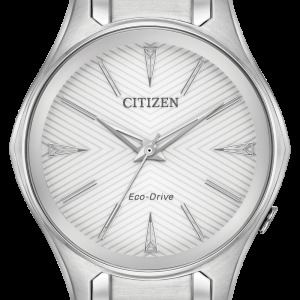 This gents Citizen Eco-Drive Perpetual Chrono A-T or PCAT syncs to the atomic clock for ultra accuracy. 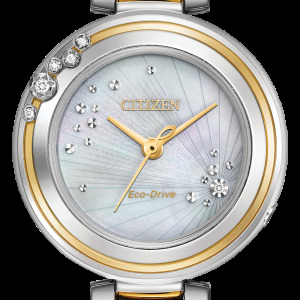 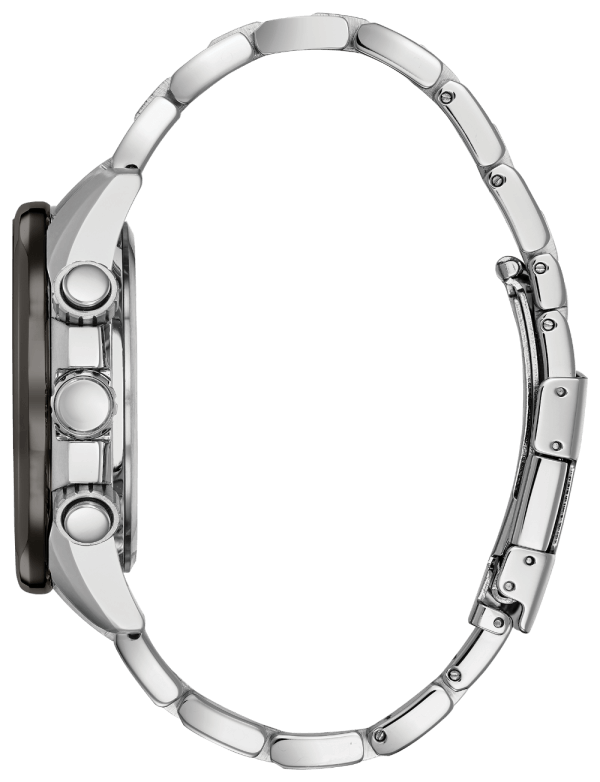 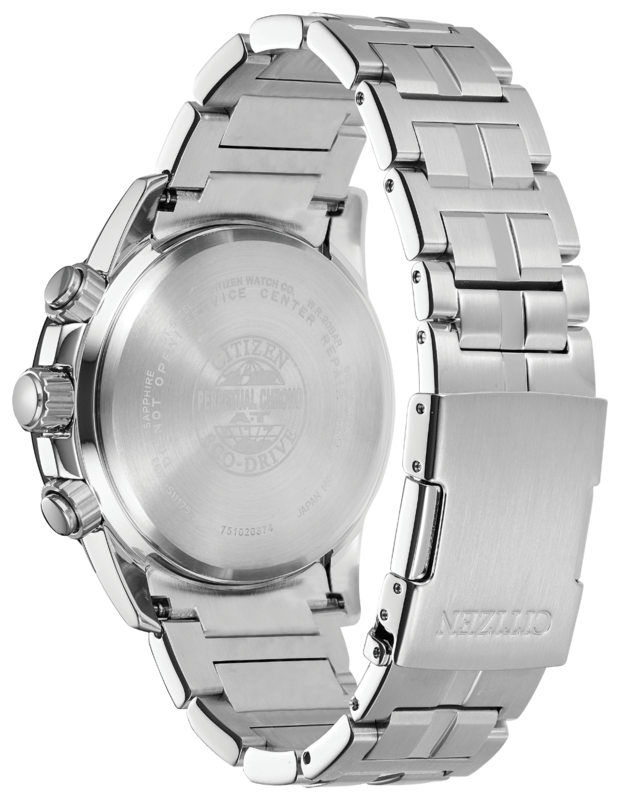 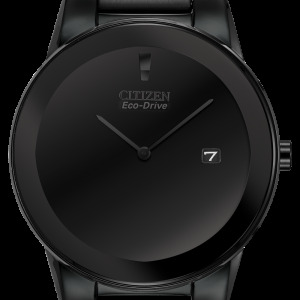 The atomic timekeeping watch is powered by any light with Eco-Drive Technology. 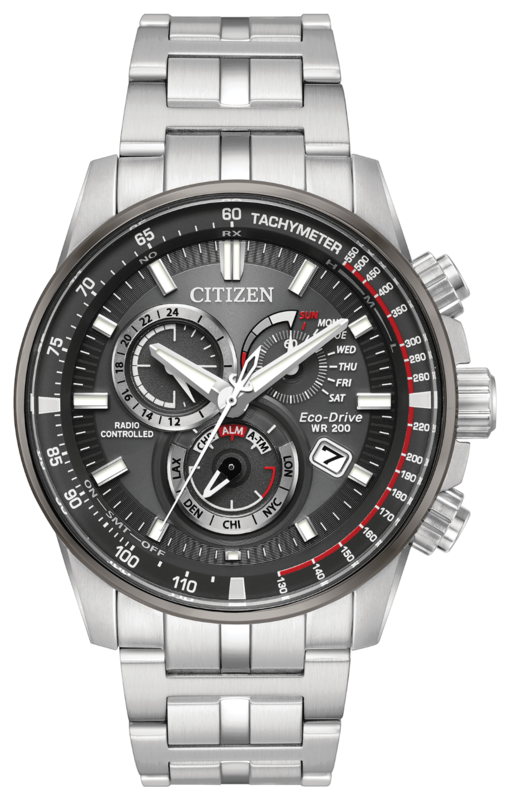 Shown here in stainless steel with dark grey dial and bright red accents, chronograph, perpetual calendar, 12/24-hour time, alarm, power reserve, tachymeter, day and date.